Left arm leg spinner of Prince of Wales College, Moratuwa Kaumal Nanayakkara bid adieu to his alma mater in grand style after representing them for three consecutive years in the first eleven division one cricket team. 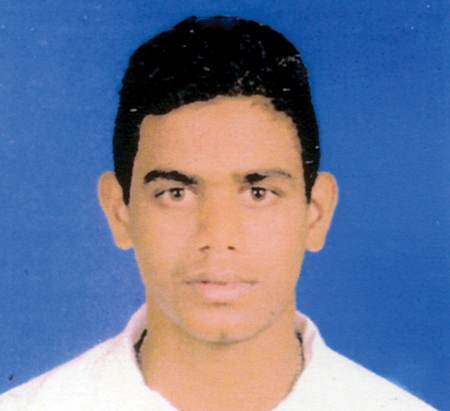 Kaumal is a product of Sri Sumangala College, Panadura and he bats right hand. He became the first ever player from Sri Lanka division one schools to pass the 100 wicket mark for the just concluded 2018/19 cricket season. Prior to the Big Match against St. Sebastian's he had 103 wickets under his belt. He achieved this very rare feat in 15 matches Holy Cross College match was abandoned due to rain. Also he became the first ever Cambrian to pass the 100 wicket mark before their Big Match in the 123 year old cricket history. He captured four wickets in the Big Match and in the inter school under 19 two day cricket tournament he claimed three wickets and brought his tally to 110 wickets which is an all time record for Prince of Wales College. Playing in three seasons for Cambrians he has claimed 258 wickets and in 2017/18 he took 62 wickets and in 2017/18 he bagged 86 scalps and this season 110 wickets. He had three ten wicket hauls with the best being 11 for 53 versus D S Senanayake Vidyalaya and seven five wicket hauls with 7 for 64 against De Mazanod College as the best.